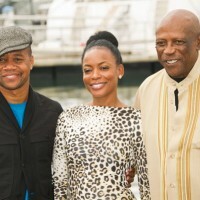 The Book of Negroes created the event in Cannes on November 13, 2014, with its world premiere screening at the opening of the MIPCOM. The adventure mini-series is based on Someone Knows My Name, a book critically acclaimed in the United States, written by the best-selling Canadian author Lawrence Hill, who sold over a million copies worldwide. 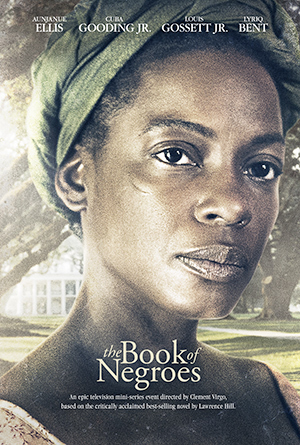 The international rights of The Book of Negroes series are managed by eOne. 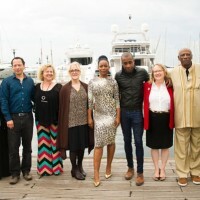 This mini-series, directed by Clement Virgo and produced by Conquering Lion Pictures, Out of Africa Entertainment and Entertainment One Television is currently being filmed in South Africa and Nova Scotia. It will be broadcast on CBC in Canada and BET Networks in the United States, as well as by Entertainment One Television in other English-speaking countries and the French and Spanish speaking countries. The Book of Negroes tells a little-known episode in Canadian history and the arrival of thousands of American Black Loyalists in Nova Scotia after the American Revolutionary War. The Book of Negroes is a wonderful story about the triumph of courage and the quest for freedom. Aminata (Aunjanue Ellis) is an African woman who must survive in a hostile world. Kidnapped by slave traders in West Africa and sold into slavery in South Carolina, she sets out on an extraordinary journey through the American Revolution. From New York to Nova Scotia, to the dangerous jungles of Sierra Leone, she will eventually get her freedom in England, at the turn of the 19th century. Starring in this mini-series as main actress, Aunjanue Ellis (Ray, The Color Of Feelings, the Mentalist) has won first place in 2014 in the heart of Americans (ranking of the favorite personalities published by the Washington Weekly). The lady with a big smile is the actress who has earned the most money during the past year. 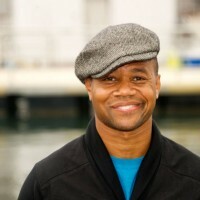 Also in the cast of this adventure series are the Oscar-winning actor Cuba Gooding Jr. (Jerry Maguire, Men of Honor) and Oscar and Emmy winner Lou Gossett Jr (Boardwalk Empire, A Raisin in the Sun). The director and co-writer, Clement Virgo (On Listening), has won many awards as well. Lawrence Hill, son of a mixed couple, was raised in the 1960s in a suburb of Toronto. His literary work was deeply influenced by the work of his parents, who were active in the organizations defending human rights. 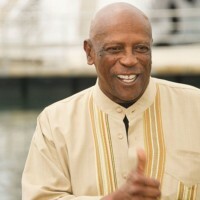 He is the author of nine books including Aminata, his seventh book, the French version of the bestseller The Book of Negroes. Winner of the Commonwealth Writers’ Prize, of the CBC’s Canada Reads, of Radio-Canada’s Combat books, finalist of the 2008 Giller Prize and at the 2013 Literary Award Fetkann (Memory of humanity), this remarkable novel has been translated into several languages.